Vegan Cuts is about as cool as it gets. I’ve shopped on their marketplace for discounts on cute t-shirts, fancy nut butters, jewelry, kitchen accessories, and more. They showcase vegan products from beloved companies and introduce products from up-and-coming companies that they know we’ll instantly fall in love with. They also have 2 monthly subscription boxes, their beauty box and snack box, and offer limited edition boxes like their “Tastes of Oregon” and “Tastes of Berlin” care packages that included unique vegan foods from those areas. Like I said, Vegan Cuts is as cool as it gets. When they contacted me recently and offered to send me their beauty box for review, I was thrilled! I’ve had my eye on this subscription box for a while and loved having the opportunity to try it. I’ve subscribed to monthly boxes from other companies in the past only to wonder where my $20 was in the few pea-sized squirts of hand cream, sun screen, and shampoo. The Vegan Cuts beauty box, I’m happy to report, is worlds different. I’ve seen pictures and videos of their subscription boxes on social media, so I knew they would have a great selection. They did not disappoint. Let’s get right into it! What I really love is that they always include some full-sized products along with several items in smaller sample sizes. The hand crème, lipstick, and chapstick were all full-sized. The samples (deodorant, styling hair whip, and scented candle) were all big enough that I can use them several times to get a sense of how much I like them. Not only did I appreciate the quantity of what I got, but these products are of a high quality. I am pretty strict about what I put on my body and always refer to EWG’s Skin Deep database before buying new beauty products. Our skin is our largest organ, and we need to nourish it with clean, nontoxic ingredients, organic and eco-friendly whenever possible. Our skin quickly absorbs what we put onto it which can affect the health of our insides. Apply wisely. My favorites in this box were Free by Chandler Farm‘s coconut and banana hand crème and Greenbody‘s tea tree and rosemary deodorant. 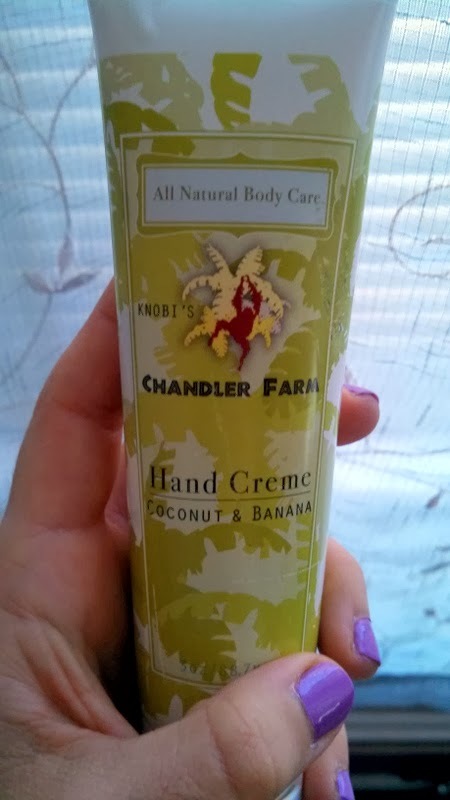 The summer scent of the hand crème has brightened my mood on these frigid never-ending-winter days. I spend a lot of time in the kitchen which means I spend a lot of time doing dishes, too. My hands can really use a good dose of rehydration after that. This hand crème works like a charm. Plus, their products are palm oil free, they donate part of their proceeds to rainforest and orangutan conservation, and they promise to keep a slew of not so nice ingredients out of their products. Win. Birthed by Earth lemongrass 100% soy wax candle with pure essential oils: These soy candles contain no beeswax, are clean-burning, and smell ah-mazing. Love! Yarok styling whip/sculpting paste: When it comes to hair care, I’m generally a wash-and-go kind of gal. I like low maintenance. This styling whip adds nice texture to my hair without me having to fuss with it too much and it tames fly-aways really well. The uplifting scent (a little bit floral, spicy warm, a burst of citrus) comes from the array of herbal infusions and organic extracts. This ingredient list is long and I love every bit of it. There are no parabens, sulfates, or alcohol. It’s all good. 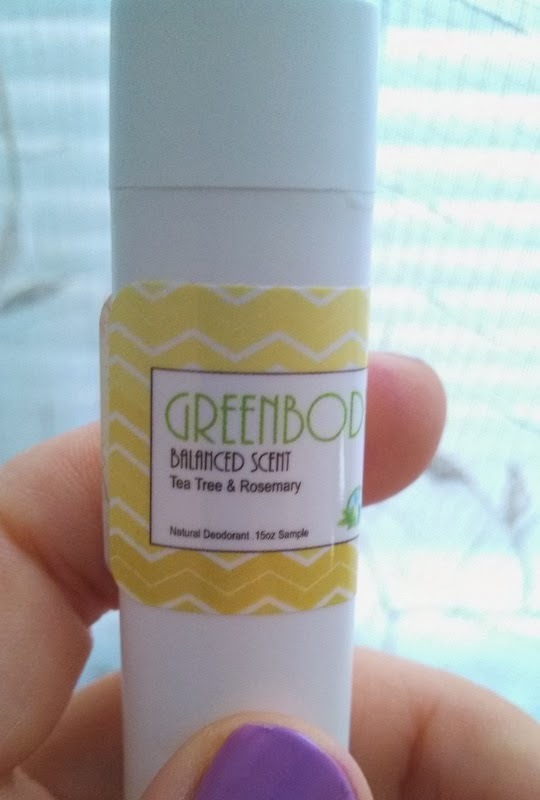 Molly Rose mint truffle lip balm: This reminds me of the Junior Mint chapstick I had in 7thgrade. It’s a great flavor for winter! I’m intrigued by their flavor Pickles and Ice Cream which some people got in their boxes. It’s such a strange combination! I’m interested to see how the two flavors were balanced. From what I’ve seen online, people are loving it. Medusa’s Make-up Lip Stick in Baroque: This lipstick is a beautiful deep berry color and it smells like berries, too! This product does contain parabens which is not so exciting. With my hormonal balance taking some of the hit from the mold exposure, I like to steer clear of anything that will disrupt my hormonal harmony. Despite that, I am really happy to see more companies, like this one, giving us more choices when it comes to vegan cosmetics. Hopefully in the future, they will find ways to make their products with even cleaner ingredients. It’s all about progress not perfection! Overall, you can tell that I thoroughly enjoyed the February beauty box. 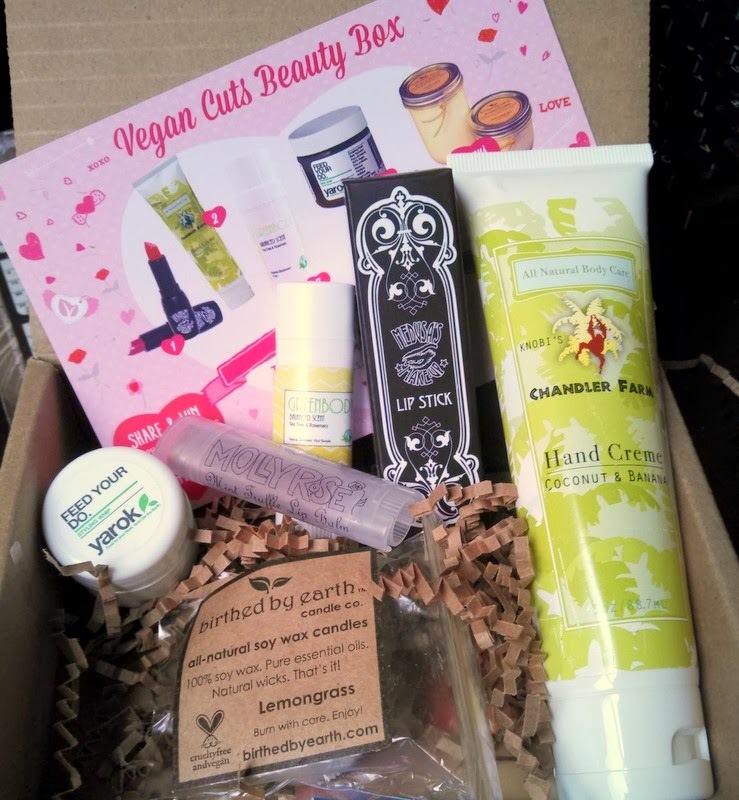 Kudos to Vegan Cuts for putting such a fantastic box together and to these companies who are making such exciting and stellar products. I highly recommend this monthly subscription box to anyone looking to jazz up their beauty regimen, green their medicine cabinets, and veganize their lives. 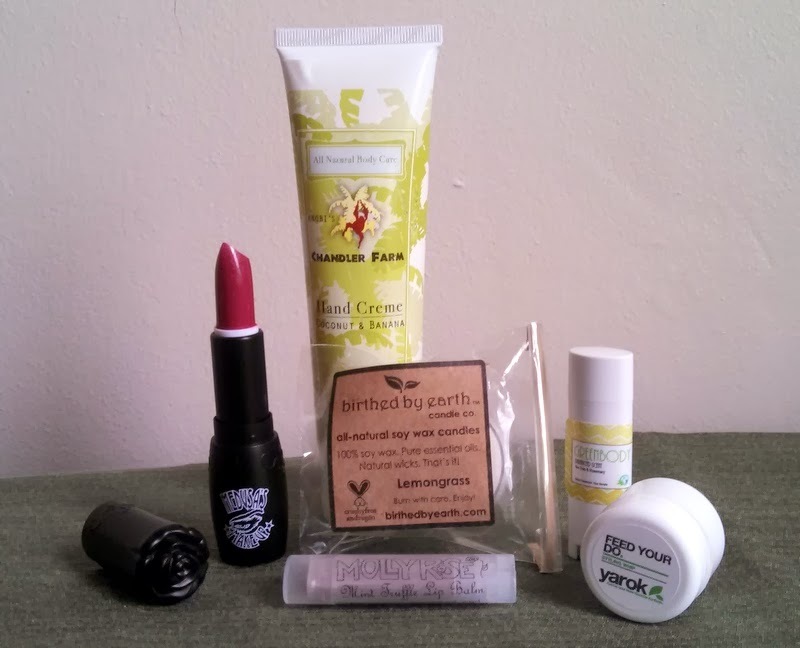 Subscribe to the Vegan Cuts Beauty Box here!